Disclosure: I received the 2 ornaments for review from Ornaments with Love. All opinions are my own. Can you believe Christmas is just around the corner? 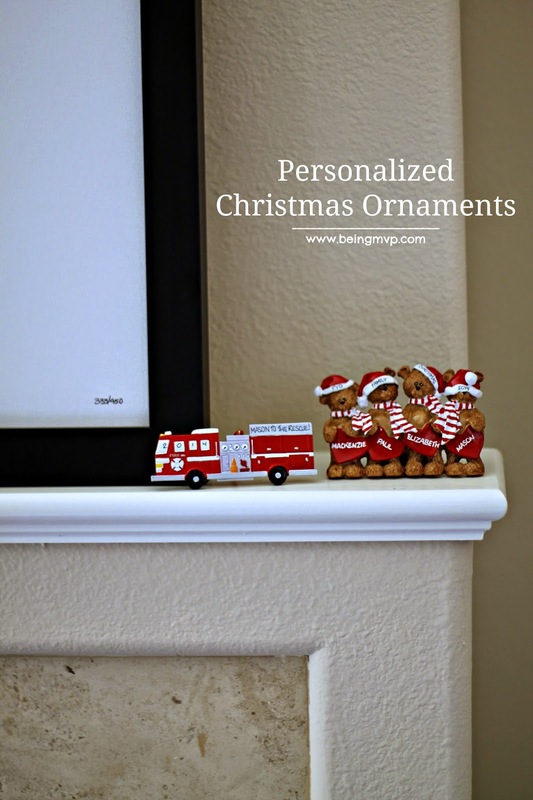 It's time to start thinking about decor and Ornaments with Love offers personalized ornaments that are unique and perfect for gifting. This year I decided to go with a family of bears and a firetruck. The personalization process is fairly simple. From a small family to a really large family, there are options for all. The ones I received are made of resin and fairly durable. When Mason laid his eyes on his ornament, he wanted to carry it around everywhere! I told him that we needed to put it on the Christmas tree later so that he wouldn't disappear with it. 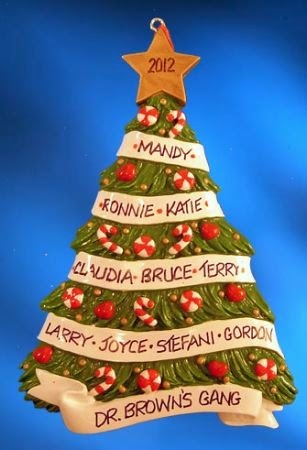 It's nice that we now have a tradition to get a new personalized ornament every year with Ornaments with Love. One winner will Receive a Personalized Ornament! I would like to get the Personalized New Apartment Christmas Ornament for my daughter. I would choose the frog family!! I love the Bear Family with Sled - 3 Children! I would choose the Personalized 2014 Family with 2 dogs and 4 people. I love the 2014 personalized family ornament! I might pick the Personalized Thomas the Train Christmas Ornament - Green for my Thomas-obsessed grandson! I like the Front Door with Christmas Decor Ornament. I'd choose the Personalized Panda Christmas Ornament with Dangling Legs! I like the Daddy and Me Ornament. I LOVE the Personalized Bear Family Christmas Ornament with Sled - 2 children! I like the baby footprint ornament in pink. I would pick the Beach family of 4 with palm tree! I think I'd like to get the Personalized Snowbaby as a gift for my best friends baby! Entering under Alona Y in the rafflecoptor. I would pick the Chef - Kiss the Cook ornament for my sister. I love the Christmas Mug! I'd get the bear family that is fishing. I'd pick the angry birds ornaments! I would choose the car family ornament. I love the Family: 2 children and a baby ornament. Perfect for our family of 4 with a baby due on the 27th of December! I would like the Snowman Family w/ Hats ornament. I like the bed family one. Now that our family is complete, I'd love to have the Bear Family on a Snowflake Ornament! Personalized Family Tree Christmas Ornament with Snow Couple. If I won I think I would choose the Love at First Sight - Sonogram Picture Tabletop or Ornament. I like the Bear Family with Sled - 3 Children. Thanks for the chance to win! I think that I would choose the snow family with hats. I love that it can be specialized to my family of 7. Hello! They're all really nice! I would probably get the brown haired angel for my best friend Cindy. She collects holiday ornaments & would love it. Thanks!! I would pick the Personalized I've Been A Good Dog Christmas Ornament. I like the big & little sister! I would probably get the baby boy on the white star http://www.ornamentswithlove.com/ornaments/Baby/B274.html for my friend's little one. Fairy angel with pink flower & purple dress ornament. I love the Candy Cane couple with 1 dog. I;d pick Candy Cane family. The 2014 Family with 2 dogs. I'd pick penguin family with 5. I would like the Personalized Family Christmas Ornament - 1 Child and Baby!